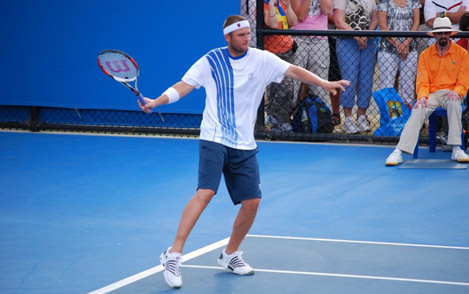 Mardy Fish was born December 9, 1981 in Edina, Minnesota. He started playing tennis at the age of two and turned professional in 2000 at the age of eighteen. 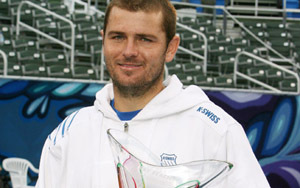 Fish has nine ATP titles to his credit, three in singles and six in doubles. He is currently ranked #24 in the world and is the third highest ranked American. Fish’s best result at a Grand Slam tournament came in 2011 when reached the semi-final of Wimbledon and in 2008 when he reached the quarters at the US Open before losing to former World No. 1 Rafael Nadal. His biggest win in singles came in 2008 at the Pacific Life Open when he defeated the then World No. 1 Roger Federer. Fish was married in September 2008 to his wife Stacey. They reside in both Florida and California and Fish splits his training between Tampa and Los Angeles.